Scientific consultant Penny Yee has barely drawn breath before Detective Inspector Tanner assigns her another suspicious death, with Matiu tagging along for the ride. That's fine as long as he stays outside the crime scene tape, but when one of Matiu's former cronies turns up dead, Penny wonders if her brother might be more than just an innocent bystander. While she's figuring that out, the entire universe conspires against her, with a cadaver going AWOL, her DNA sequencer spitting the dummy, and the rent due any day. Even the weather has it in for her. But that's not the worst of it; Penny's parents have practically announced her nuptials to Craig Tong! What a great genre mix-up: police procedural, horror, urban fantasy and cli-fi all bundled together with a bit of romance thrown in! 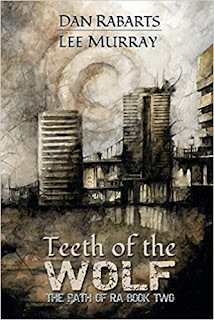 TEETH OF THE WOLF is set in a not too distant future, in an Auckland that is broiling hot and algal bloom stinky, where petrol use, and therefore driving, is severely restricted, where coffee is grown “down in the Rimutakas and the Kaimai Ranges”, where there are “a million tiny struggles to survive in a city slipping into the sea”, and where the explosive atmosphere is pushing the violent crime rate through the cloud-roiling sky. Penny Yee is a scientifically minded young woman who runs her own forensic science business, Matiu is her haunted brother, not long out of jail, not yet totally extricated from his bad-guy cronies, still haunted by possibly really real demons, and Penny’s driver. As the body count rises, it is obvious something seriously wrong is going on – something to do with missing pregnant women, micro-greens, and demons who have possibly “slipped sideways through a portal to some other dimension”. As things get creepier for Matiu, Penny is determined to explain all the odd happenings away in a neat scientific manner – even when her DNA machine explodes, spitting out un-human results; even when she starts seeing glimpses of Makere, the demon with an uncanny resemblance to Matiu. If things aren’t hectic enough, Penny’s lab technician seems to like her, and her parents have a suitor lined up for her, and Matiu seems to be getting odd vibes from his parole officer. Matiu’s troubled biological mother, Penny’s Aunt Marama, is also swept along in the conspiracy, but is she central to the plot, or just a diversion? And there is Penny’s dog, reacting off the scale every time he catches sight of Matiu’s old crime buddy, Simon Kingi. But then Penny did call her dog Cerberus – and Penny is short for Pandora … and in Pandora fashion we end up with mysteries on multiple fronts, all of which get resolved in the end, in both a scientific and a far from scientific way – oh, did I mention the bog body? 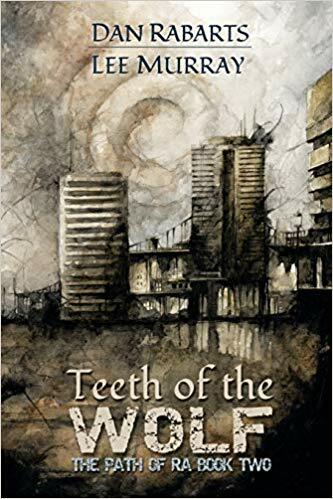 TEETH OF THE WOLF is the second in The path of Ra series but can be read as a stand-alone. It is a wild ride of a novel, and there just must be more to come!